All products are available raw, primed or Factory Finished in any color in Coastal's own facility. Finishes achieve up to 15 year warranties. Iron Woods® is the original, leading brand of naturally durable wood products. Favored by design professionals and consumers alike, the Iron Woods® brand has become synonymous with commitment to superior quality and environmental accountability. 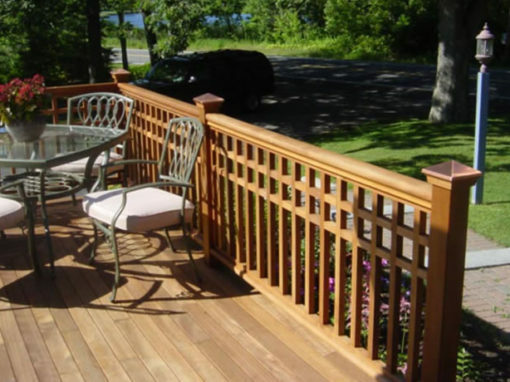 Our product’s strength, hardness and durability have been proven again and again in demanding commercial applications like the famous Atlantic City and Coney Island Boardwalks and in backyards across America. Tando™ represents the creation of something new and completely different from what the building products industry has come to know as exterior cladding. It is the culmination of the best of what two great brands – Novik and Exteria – have built their business and their reputation on. Tando™ is an all-star product portfolio designed to address the evolving needs of the professional installer, remodeler and home builder. Tando™ leverages the installer’s creativity and desire to turn ordinary walls into breathtaking mixed material exteriors. Nothing can beat the natural beauty and durability of white cedar. 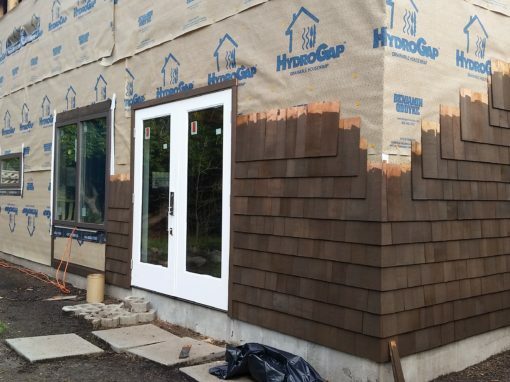 Elite stained shingles combine the best exterior wood siding substrate with superior coatings expertly applied by an industry leader in machine coating application. Coastal Forest Products has partnered with SBC Cedar and PPG Machine Applied Coatings to bring you Elite branded, stained Western Red Cedar shingles. Elites are #1 Grade 100% edgegrain Kiln-Dried Western Red Cedar Rebutted and Rejointed (R & R) Perfection Shingles available factory stained in a variety of finishes and popular colors, in-stock and on the ground ready for prompt shipment. All LP SmartSide products are treated to the core through our proprietary SmartGuard process. With four components of protection, the SmartGuard process adds strength and helps LP SmartSide products withstand impacts, freeze-thaw cycles, high humidity, fungal decay and more. Western Red Cedar shakes and shingles are appreciated for their beauty, durability, and longevity. Cedar shakes meet all climactic demands, providing the highest insulating value of any roofing product. CCA preservative treatment is available for high humidity areas. Fire preservative treatment is available for brush fire prone dry belts as well as multi-family and commercial applications. All cedar shakes are covered by warranties, whether natural, preserved, or fire treated.